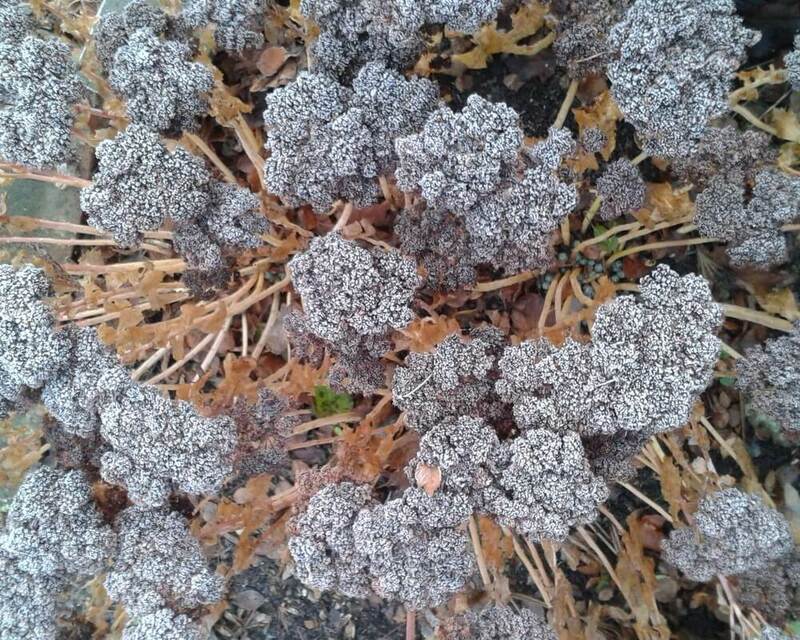 Last night’s #WoolliesAskAlison tweetorial was all about coping with frost in the garden. I thought that you might like to see it altogether again here with a fab frosty photo. We had 1st frost of the winter in Kent this week so I’m moving half-hardies into the greenhouse pretty quick. Cold air flows downhill & collects at base of walls & fences creating a ‘frost pocket’: avoid borderline hardy plants. Layer of bubble-wrap inside unheated greenhouse & fleecing plants inside can save several degrees of frost. Protect plants in pots from frost by wrapping the pot not just the top growth. Plants likely to die if roots freeze. Growing plants ‘hard’ in summer – less feed & water – helps them to survive cold weather as cells resist freezing. Many alpines & succulents are fine in frost but killed by wet UK winter. Coldframe with plenty ventilation is ideal. Layer of mulch over soil can help protect roots & crowns from frost damage. Soil is very wet & water will freeze. Fleece much better than plastic or bubble to cover plants outside to allow moisture out & avoid mould. Uncover daytime. Watch weather forecast & know your local microclimate so you can act to protect precious plants or veg crops. 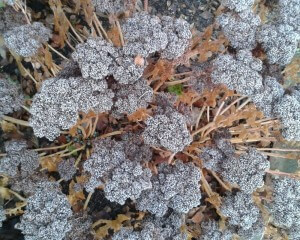 Frost is not all bad though, many stunning winter garden photos involve frost like the dried flower heads on the Sedum spectabile. Join Alison & Team Woolly Green every Thursday on Twitter from 8-9pm UK time for a tweetorial and gardening Q&A. #WoolliesAskAlison all for free!